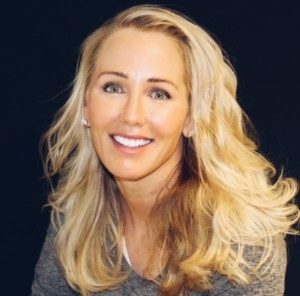 Dr. Cynthia Pauley, Bellevue Cosmetic Dentist at Brookside Dental, has been selected as one of the “Three best Rated” Bellevue Cosmetic Dentists by the independent business rating agency “Three Best Rated™” where Dr. Pauley is shown on their website for cosmetic dentists in Bellevue, WA, . This honor recognizes Dr. Pauley for her excellent dental work in the field of cosmetic dentistry. While she has delivered the highest quality dentistry work to her patients, she also has been active in many areas of dental education and at all levels of major dentistry organizations. “Three Best Rated” also has honored Dr. Brian Cave as one of the three best general dentists in Bellevue, WA. Dr. Cave is the husband and dental partner of Dr. Pauley at Brookside Dental, Bellevue, WA. The listing as a Three Best Rated Bellevue Dentist by Dr. Cave was discussed in an earlier Brookside Dental Blog article, which gave details of his inclusion on the list and why he had received the honor. Dr. Pauley is a past President of the Seattle King County Dental Society (2010-2011) and also she has served as the Washington State Dental Association President (2017-2018). She taught Restorative Dentistry at the University of Washington Dental School for 13 years and she was named the outstanding Restorative Instructor in 1996. Additionally, she has been selected as a Seattle Met Magazine Top Dentist for eight straight years – most recently in 2018. She also has been honored as a USA Top Dentist for nine years – beginning in 2010. Other honors have included being inducted as a Pierre Fauchard Fellow (2009) and as an International College of Dentists Fellow (2017). Three Best Rated has honored Dr. Pauley for her cosmetic dentistry work emphasizing smile changes and smile makeovers. Previously, the husband and partner of Dr. Cynthia Pauley at Brookside Dental in Bellevue, WA, Dr. Brian Cave was honored as a “Three Best Rated” dentist listing as one of the three Top Bellevue Dentists in the general dentist category. An earlier blog article on this website discussed the “Three Best Rated” listing of Dr. Cave as one of the best Bellevue general dentists. This “Three Best Rated” honor is given based on a detailed examination by the Company employees of Three Best Rated based on a 50-point inspection process which is shown at the bottom of her Three Best Rated™ profile. Dr. Cynthia Pauley is very proud to be recognized as one of the three best cosmetic dentists in Bellevue, WA, by the independent rating agency Three Best Rated™. 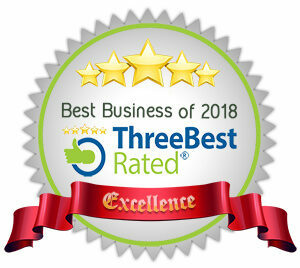 Three Best Rated™ listings are available on their website to assist people to locate the top and best businesses and professionals in various cities. They do this by ranking as an independent rating agency. From their 50-point research, the Three Best Rated™ businesses and professionals are listed for various cities in each state. Their listings are designed to evaluate only small and local businesses that just have one physical presence in a particular city. The Three Best Rated™ listings are free without any type of payment required to receive this honor. Listings in various major cities are for small businesses, various professionals, restaurants and healthcare providers in all of the states. Seven cities in Washington State, including Bellevue, have listings of various types in the Three Best Rated™. Employees from the Three Best Rated™ handpick the various types of businesses and professionals in the cities listed for each state. They use a 50-Point Inspection to determine the Three Best Rated™ in each category for each city. This inspection includes customer and patient reviews, business history, awards received, complaints, ratings, satisfaction, trust, cost, reputation, general excellence, and business longevity. Three Best Rated™ only displays top rated businesses and professionals that are verified their 50-Point Inspection process. The individual dentistry listings show the business hours, procedures performed, a patient review, business website, and business phone number. Customers and patients can contact the top listed dental offices directly without having to pay any money to Three Best Rated™. They honor local businesses and professionals and make it easy for these top listings to be found by interested patients and customers. Examples of the beautiful cosmetic dentistry Dr. Pauley has done for people may be observed by going directly to her Brookside Dental website Smile Gallery which exhibits before and after photos of various cosmetic dental procedures. Book your appointment with this top rated cosmetic dentist today. They’re both the best dentist ever!!!!!!!! They’re amazing at what they do! You are correct – they are both the BEST!